Deputy Director of the Energy Institute on the convergence of engineering, policy & commercialization. This talk focuses on global energy trends, with additional insights on US energy trends. The worldwide energy sector is going through dramatic shifts in energy demand, end-uses, and sources. Population growth and economic growth are driving up total demand. Industrialization, electrification and motorization are changing how we use energy. And a policy push for domestic, low-carbon and renewable fuels is changing our sources of energy. At the same time, we are entering an era where markets, technologies and policies are enabling dramatic increases in U.S. production of oil, gas, wind, solar and bioenergy that is affecting global economies, the environment, and our national security posture. In parallel, our energy and information sectors are merging to form smarter energy systems and more energy-intensive information systems. For this talk, Dr. Webber will give an entertaining and big-picture overview of global energy trends mixed in with humorous anecdotes, historical snippets, and unexpected examples that will give a surprising look into the future of energy. Energy and water are precious, global resources, and they are interconnected. The energy sector uses a lot of water -- the thermoelectric power sector alone is the largest user of water in the U.S., withdrawing 200 billion gallons daily for powerplant cooling. Conversely, the water sector is responsible for about twelve percent of national energy consumption for moving, pumping, treating, and heating water. This interdependence means that droughts can cause energy shortages, and power outages can bring the water system to a halt. Given recent trends towards increasingly water-intensive energy and energy-intensive water, the problems might become more extreme if the currently segregated funding, policy-making, and oversight paradigm of these resources are not integrated. For this talk, Dr. Webber will build from his extensive body of research, his course lectures, and his congressional testimony to share his perspective on the global nexus of energy and water to outline trends while identifying technical and policy options that might mitigate the challenges. In this engaging lecture, Dr. Webber will identify the key global energy trends, and their impacts on business. 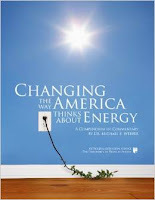 These trends include shifts in energy consumption, changes in end-uses of energy, policy pressure on the sources of energy, and merger of energy and information. Webber will give an entertaining and big-picture overview of these major energy trends mixed in with humorous anecdotes, historical snippets, and unexpected examples to give a surprising look into the future of energy. In particular, this talk will focus on the business opportunities that are emerging from these trends and will reveal the shifting philosophies that are taking place for the business sector. These shifts include a transition from old economic theory (cost-based capitalism) to new economic theory (value-based capitalism). Webber will reveal how this trend towards a service economy opens up the opportunity for businesses to increase profit margins while decreasing resource consumption, which will simultaneously boost the economy and protect the environment. This talk will introduce both the technology and the associated economic and environmental tradeoffs of hydraulic fracturing for production of oil and gas from shale formations. Using entertaining examples, funny anecdotes, and multimedia including custom animations and movie clips, this talk will put the shale phenomenon into historical context, explain what it means for the global energy picture, and enumerate the various upside benefits and downside risks that its growth offers for the United States. In particular, this talk will examine the water impacts (good and bad) from shale production. In addition, the potential for natural gas as a transition fuel and enabler or inhibitor of renewable alternatives will be discussed, ultimately leading to a potentially surprising conclusion. Energy and food are precious, global, and interconnected resources. The food sector uses a surprising amount of energy for growing, reaping, transporting, preparing and disposing of the food. In parallel, with a global push for biofuels, the energy sector is increasingly using a lot of food. This tends generates resource competition creating a variety of moral dilemmas along the lines of food vs. fuel. vs. feed. However, potential for cooperative interactions also exists where waste streams from each can be used for the other. For example, food waste and agricultural waste can be used to generate biogas that can be used on-site for heat or power generation. Additionally, powerplant waste in the form of CO2 emissions can be used to produce commodities such as baking soda (for food) or algae (for feed). This talk will use funny anecdotes and illustrative examples to address macro trends related to energy and food and give a brief history of the role energy plays for enhancing agricultural productivity (including the original Green Revolution), while also covering food waste, food miles, organic vs. conventional farming, and the non-obvious tradeoffs associated with local food production. As Acting Director of the Energy Institute, Josey Centennial Professor in Energy Resources, Author, and Professor of Mechanical Engineering, Dr. Michael E. Webber trains the next generation of energy leaders at the University of Texas at Austin and beyond through research and education at the convergence of engineering, policy, and commercialization. 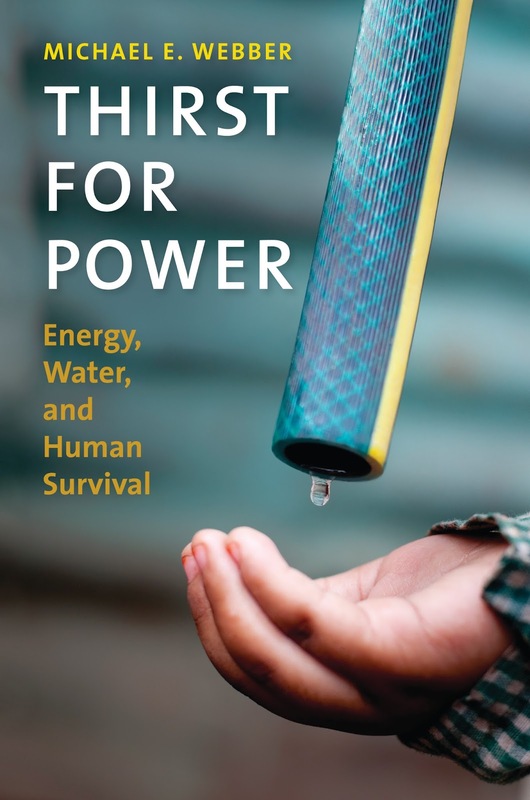 His first book, Thirst for Power: Energy, Water and Human Survival, which addresses the connection between earth’s most valuable resources and offers a hopeful approach toward a sustainable future, is receiving wide praise. 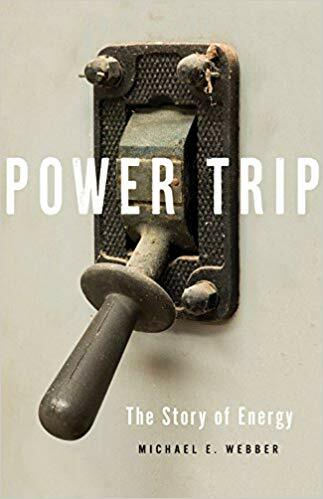 He is also the author of Power Trip: the Story of Energy (2019), accompanied with a 6-part companion TV series on PBS. He was selected as a Fellow of ASME and as a member of the 4th class of the Presidential Leadership Scholars, which is a leadership training program organized by Presidents George W. Bush and William J. Clinton. Webber has authored more than 400 publications, holds 5 patents, and serves on the advisory board for Scientific American. 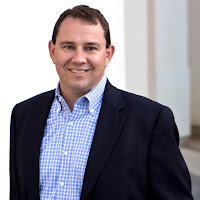 A successful entrepreneur, Webber was one of three founders in 2015 for an educational technology startup, DISCO Learning Media, which was acquired in 2018 by Probility Media. Webber holds a B.S. and B.A. from UT Austin, and M.S. and Ph.D. in mechanical engineering from Stanford. He was honored as an American Fellow of the German Marshall Fund, an AT&T Industrial Ecology Fellow, and on four separate occasions by the University of Texas for exceptional teaching. He currently lives in Paris, France, where he is serving as the Chief Scientific and Technical Officer for Engie, a global energy and infrastructure services firm.